Good Morning. It's Monday, so it's time for another Buffalo Stamps and Stuff Monday Challenge. The challenge today is to make your own background paper using the color resist technique. You simply stamp images using a versamark pad then clear emboss. I started with smooth white card stock. I stamped the ducks and the branches randomly over the paper with the versamark pad, then embossed them with clear embossing powder. I then used a sponge (I used a finger sponge) to distribute color over the background, using a circular motion. You could also use the Tim Holtz sponge applicator. When you change colors, just blend the two colors together. I did all the green areas first, then went back and added the butterscotch color and then added the dark brown. When I was completely finished adding color, I took a paper towel and wiped the embossed areas to remove any ink on them. This works well with small flowers, or a design stamp. I love the beautiful pup with this background. 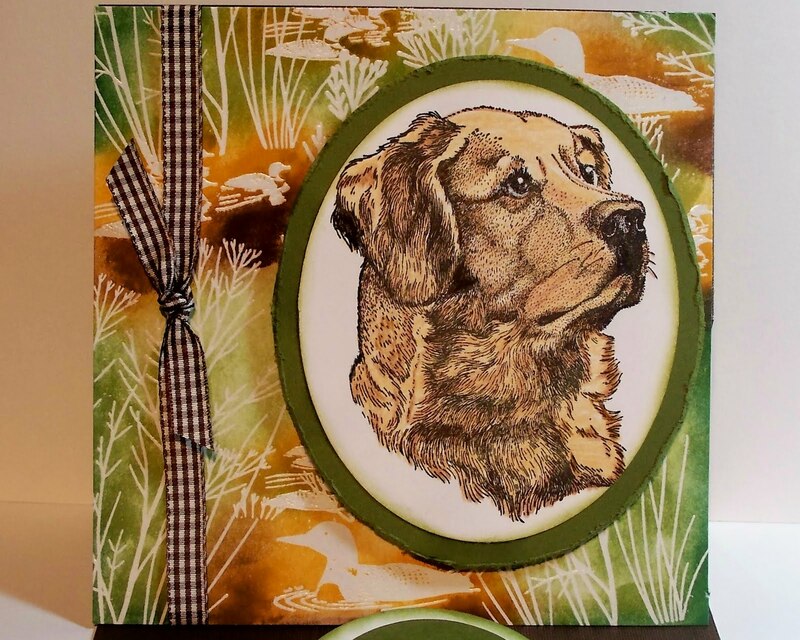 The dog stamp is by Impression Obsession. The background stamps are all by Stampscapes. 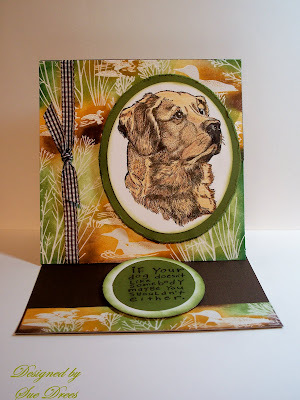 Your stamped BG is just PERFECT for this fabulous pooch! Amazing job! This is a perfect card! I have a black lab so I am so loving this card Sue! Great job! I love this technique! I also love how you colored this dog stamp. Very awesome card! 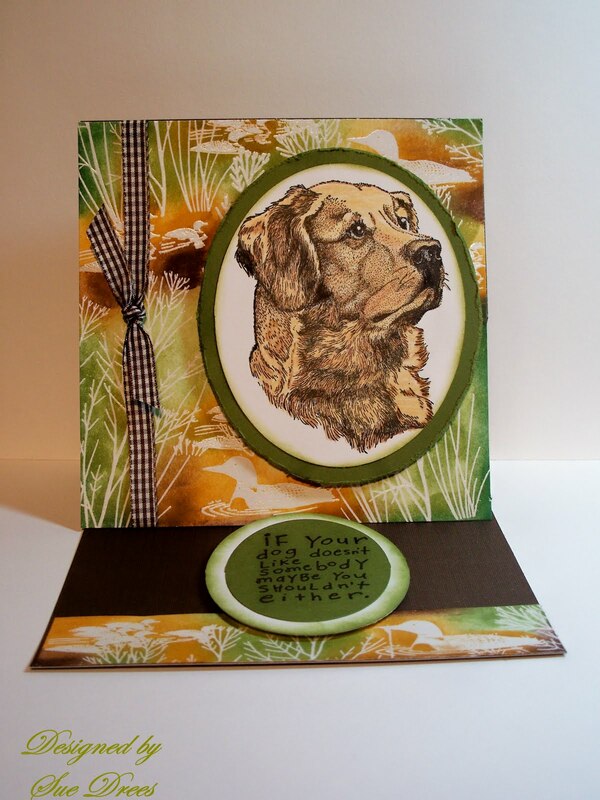 Two of my nephews would love this card - i'm going to have to see what I can do to make something similar! Great technique tips! I am a huge dog lover (actually animal lover). This is a GORGEOUS card!! Amazing! !